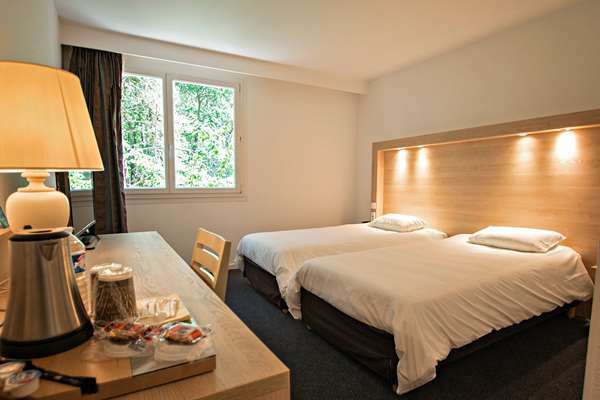 Your Hotel Kyriad Nemours is located in the heart of Gâtinais and the Medieval City of Nemours. 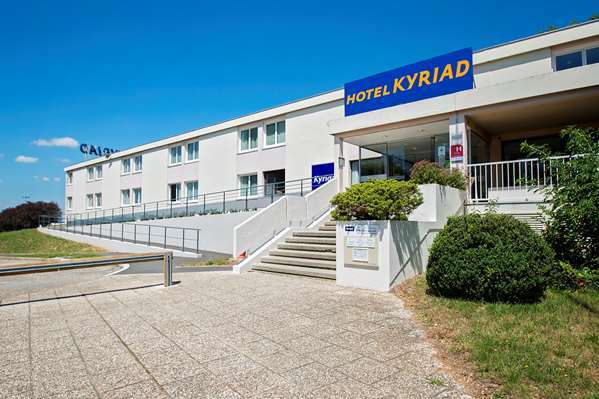 Located 5 minutes away by car from the SNCF train station, 2 minutes from exit 16 off highway A6 and 3 minutes from downtown, Hotel Kyriad offers you a great place to stop on the road to the chateaus of the Loire Valley. You can get to the Prehistory Museum in less than 10 minutes walk and the Château de Fontainebleau is located 10 and a half miles away. Open 24 hours a day, the hotel has 50 spacious and soundproofed room that can accommodate business and tourist clienteles. 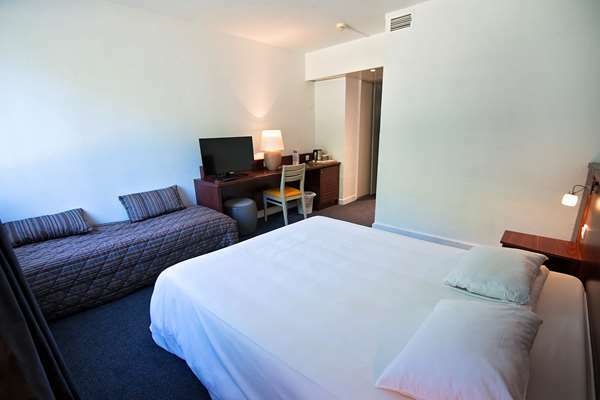 The hotel has 50 spacious and soundproofed rooms that can accommodate up to 4 people. All the rooms are equipped with a flat-screen, a washroom with bathtub, a hair dryer, a courtesy tray with a kettle (tea, coffee), telephone, and comfy duvets. 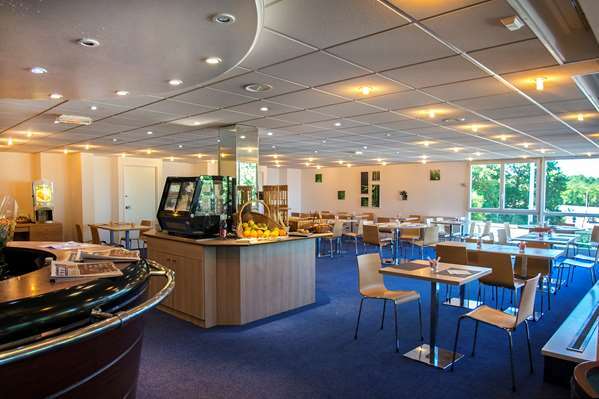 Note that our hotel is wheelchair accessible and we have rooms specially adapted for people with reduced mobility. 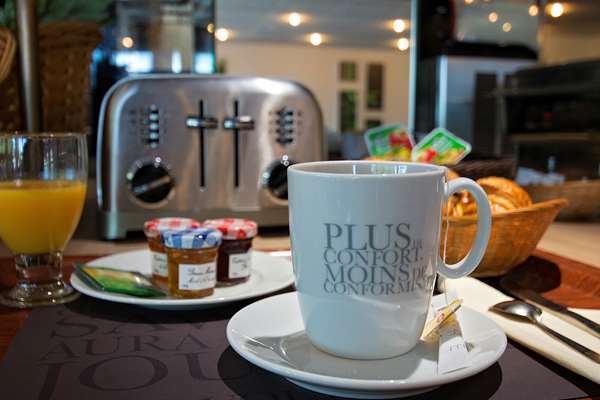 The hotel offers a very complete breakfast buffet so you can make your own delicious, vitality-filled breakfast. The hotel has a bar where you can relax or meet up with friends. • Billiards, restaurants and swimming pool in the immediate proximity of the hotel. We arrived late at night needing somewhere close to the motorway to sleep overnight and leave early to be able to reach the ferry by 11.30 next morning on way home. We were treated very kindly and loved the continental breakfast the next morning. We barely heard the cars/lorrys even though we were not far from the motorway. We were so relieved to find this motel.